This room is NOT photoshopped. 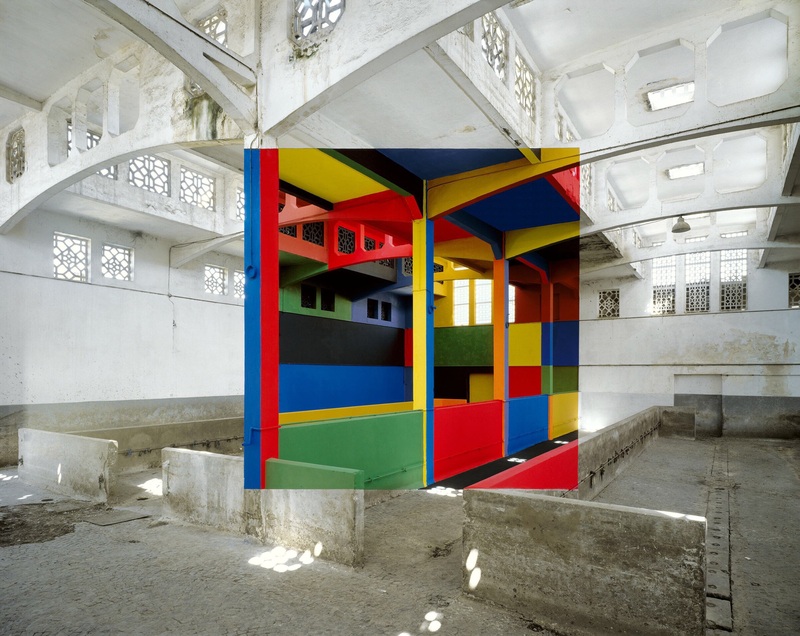 Made by the artist Georges Rousse, france. Not photoshopped: Different surfaces were painted which caused this effect! this is not photoshoped..A work by French artist George Rousse, who creates his colourful, intriguing images in deserted buildings set to be demolished.